Deputy chief minister Kadiyam Srihari on Thursday announced his full support to party candidate Rajaiah. 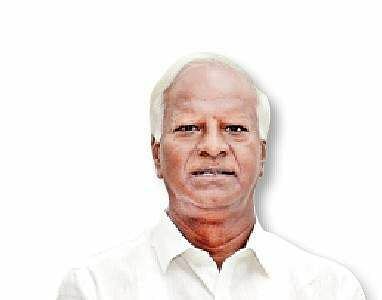 WARANGAL/MAHBUBNAGAR: Amid reports that TRS leaders from Station Ghanpur assembly segment, who were opposed to the candidature of T Rajaiah, were planning to hold a public meeting at Dharmasagar to declare their own candidate for the ensuing Assembly elections, deputy chief minister Kadiyam Srihari on Thursday announced his full support to party candidate Rajaiah. Kadiyam urged the agitating leaders to iron out differences and work for the victory of Rajaiah in the ensuing election. Speaking to reporters here on Thursday, Srihari said: “He has been nominated by the party leadership. Hence, it is our duty to ensure his victory,” he stated. Extending full support to Rajaiah, the deputy chief minister stated that his supporters would work wholeheartedly for his victory. “As far as I am concerned I would be working for Rajaiah’s victory. I would campaign for him. 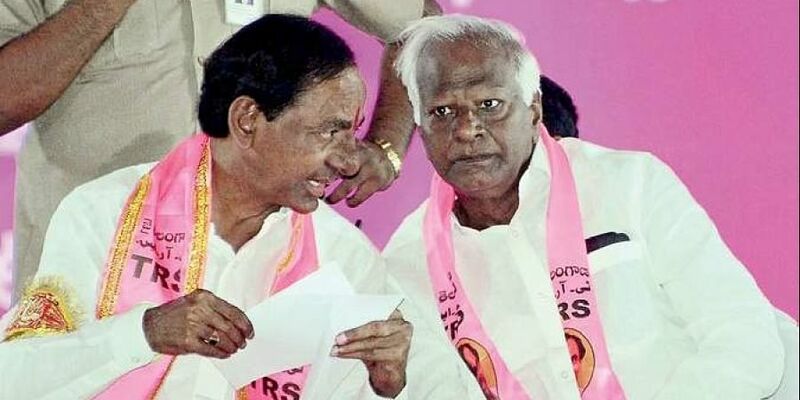 I want all the party leaders and people who worked for achieving Telangana to join hands and ensure victory for the party ’s candidate,” he said. However, he made it clear that his daughter was never keen on contesting the election. “Let me clarify that I never sought Ghanpur ticket for my daughter. All rumours about me demanding a ticket for my daughter are false. Do not believe those rumours,” he said. According to him, certain people were trying to create an impression that most leaders and cadres were against Rajaiah. However, he wanted Rajaiah to change his attitude and take all the people along with him. Caretaker minister Laxma Reddy on Thursday said that their government would stand by the people of the state. He made these remarks while addressing a meeting in Urukondapeta mandal of Jadcherla Assembly segment. He toured different villages of the mandal and inquired about the problems people are facing. He assured them that he would solve all their problems. The minister also visited the newly created Narsampally gram panchayat. The villagers there accorded a traditional welcome to the minister on the occasion. Around 40 residents of Bommarasipally village too joined the celebrations. Bodige Shobha’s Choppadandi hopes sent down the drain? Karimnagar: Bodige Shobha, who had been hitherto optimistic about receiving the Choppadandi ticket, seems to have lost hope now. As part of her efforts to win the ticket, she had met caretaker minister KT Rama Rao on Wednesday. However, Shobha was seen to have left the office with tears rolling down her face. Meanwhile, TRS SC cell State president Sunke Ravi Shankar has reportedly begun extensive campaigning in the constituency.